#Reigate dry bright pleasant weekend arrives for #RunReigate ideal for runners and spectators! The second annual Run Reigate half marathon and 10km race on Sunday is a major event for the town. Happily the weather looks PERFECT for both runners and spectators! A ridge of HIGH pressure is building in as the trough which brought a few sharp showers this afternoon moves off NE. So we expect no rain at all this weekend. 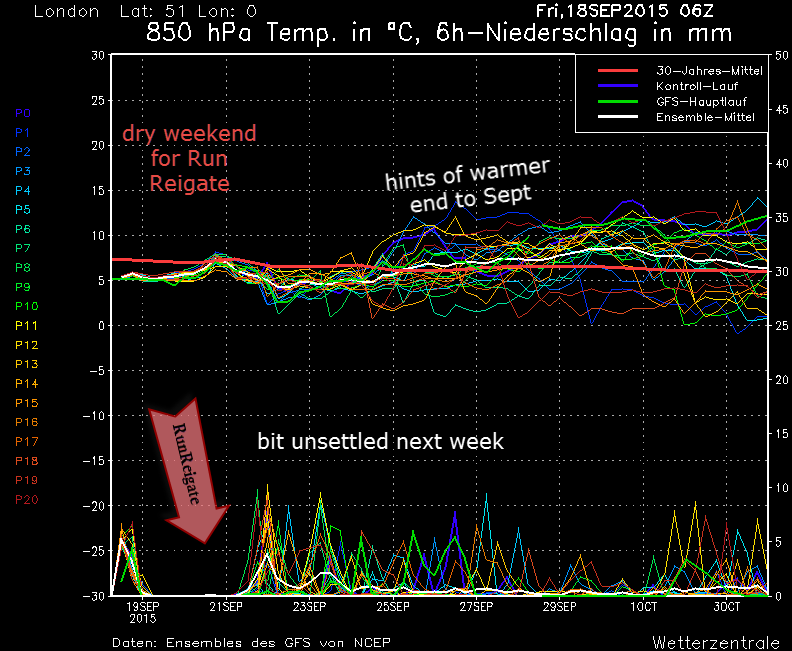 A beautifully settled early autumn weekend is expected. Cool nights at Tmin 10C with some autumnal mist early morning are likely. Days will brighten up in sunshine to reach possibly Tmax 20C in the afternoon. Light winds and little cloud will be appreciated by runners and spectators. The outlook is for unsettled cooler than average conditions to gradually return on Monday and into next week with rain at times as Atlantic fronts progress across the country with low pressure. 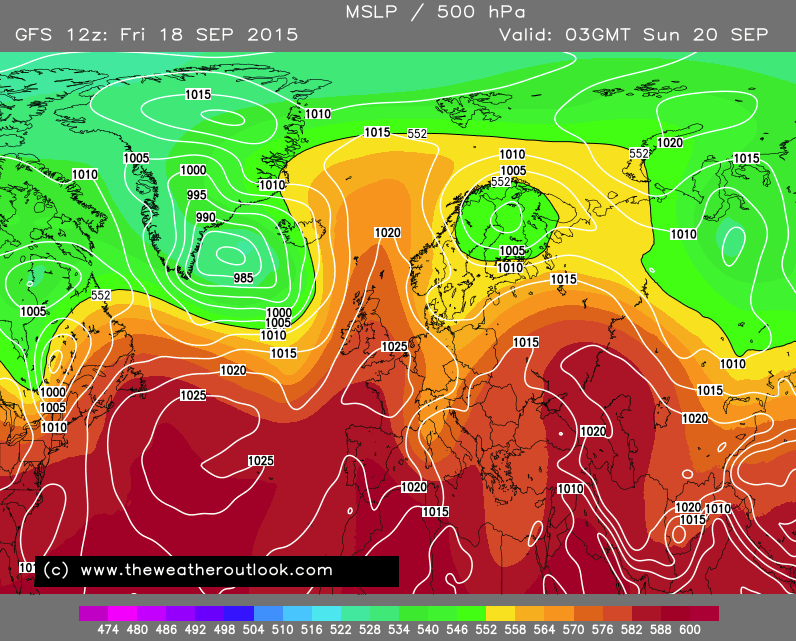 Further ahead there is a chance of a warmer and drier end to September as a Scandinavian high builds to the east.